James Zellers holds Bachelor’s and Master’s degrees from Indiana University and a D.M.A. from the Juilliard School. His teachers have been Judith Thomas, Mark Thomas and Carol Wincenc. His performances have taken him to the Kennedy Center in Washington, D.C., Victoria Hall in Geneva, Switzerland, the International Festival d’Evian, France, the Spoleto Festival in both Charleston, S.C. and Italy, and the 1988 Seoul, Korea and 1996 Atlanta Olympics Festival of Arts and Culture. Former touring artist for the North Carolina Council for the Arts, soloist with the Bach Aria Festival, the Chautauqua Institution, and the Sea Cliff Chamber Players, Dr. Zellers is currently Principal Flute with the Atlanta Opera Orchestra, The Columbus GA Symphony, and Piccolo with the Florida West Coast Symphony, Sarasota. He has also performed with the Alabama Symphony Orchestra, the Santa Fe Opera and has performed and recorded with the Atlanta Symphony Orchestra. He was Acting Principal Flute with the Florida Orchestra, Tampa for the 1999-2000 season, and has held positions with the orchestras of Augusta GA and Greenville SC as well as faculty positions at the University of Georgia, Augusta State and Georgia State Universities. He is currently an Artist Affiliate for Emory University School of Music, a position he has held since February 2006. In addition to his flute activities, Dr. Zellers is an accomplished organist and arranger of choral and instrumental chamber music. He is also the proud breeder/owner/handler/trainer of four prize-winning Australian Shepherds; competing regularly in Confirmation, Agility and Competitive Obedience. 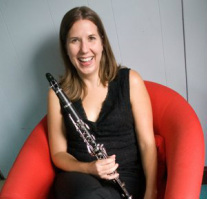 Rebecca Collins is a busy professional oboist and teacher in the Atlanta area. She holds performance degrees from Loyola University in New Orleans and the Mannes College of Music in New York City. She began her studies at age 13 and has studied with John Corina at UGA, Helen Erb of the New Orleans Symphony, and Elaine Douvas of the Metropolitan Opera. She is an active freelancer and plays with the Macon Symphony, the Dekalb Symphony, The Rome Symphony, The John’s Creek Symphony, and the Toccoa Symphony. Rebecca is also a popular oboe soloist and performs regularly at several churches in the Atlanta area. Rebecca has a large studio of successful oboe students and runs a reed making business serving oboists all over the country. Pamela Holloway earned her Bachelor of Music Performance degree from Columbus State University and Master of Music Performance degree from Georgia State University where she was a graduate assistant. Her primary teachers include renown oboists Russell deLuna, Dr. Lara Saville Dahl, and Holly Gornik. Mrs. Holloway has performed with the Carroll Symphony, Rome Symphony, Ludwig Symphony, Macon Pops, New Atlanta Philharmonic, Lagrange Symphony, and Auburn Symphony Orchestras; Musica Sacra Atlanta, Voices of North Georgia, and North Georgia Wind Symphony. She really enjoys performing in pit orchestras for ballet and opera and was the second oboist/English hornist for the Columbus (GA) Ballet from 2005 to 2009. She has appeared as principal oboe and English horn with the Gwinnett Ballet performing Tchaikovsky's The Nutcracker; as well as principal oboe/English horn for Massenet’s Werther and Mark Adamo’s Little Women with the GSU Opera Theater; Kurt Weill’s Street Scene for the 30th Anniversary Harrower Summer Opera Workshop; Rodgers and Hammerstein’s The King and I at the Springer Opera House in Columbus, GA; and most recently, Gilbert & Sullivan's The Mikado with the Capitol City Opera Company. She has performed at the Chastain Park Amphitheater, Cobb Energy Center, and Atlanta Symphony Hall with such artists as Sarah Mclachlan, Josh Groban, Shakar, and Il Volo. She is also a busy church musician performing regularly all over the metro area as soloist and orchestra member. ​Mrs. Holloway is an active middle and high school oboe clinician and maintains a busy private oboe studio. Her students have successfully auditioned and been accepted into GMEA District and All-State Bands; Georgia Youth Symphony Orchestra; and performed in masterclasses for professional oboists in the Atlanta area. Her students regularly participate in the Georgia State University Annual Double Reed Day; Reinhardt University Annual Oboe Day; University of Georgia Annual MidFest and JanFest Band Festivals; and have attended summer music camps including Atlanta Chamber Music Festival and Oxford Oboe Camp. In the Spring of 2012 and 2014, Mrs. Holloway was the maternity replacement for oboe at Georgia State University. She resides in Canton, GA with her husband, Daniel, a cellist, and their daughter, Hannah. Amy Pollard is assistant professor of bassoon at the Hugh Hodgson School of Music at the University of Georgia. She formerly served as lecturer of bassoon at Baylor University and has also been on faculty at the University of Dayton and the Cincinnati School for the Creative and Performing Arts. During the summer she has been on the faculty of the Interlochen Arts Center Advanced Bassoon Institute. She is currently second bassoonist with the Cincinnati Chamber Orchestra and has performed with the Atlanta Symphony Orchestra, the North Carolina Symphony, the Virginia Symphony, Symphony Orchestra Augusta, the Kentucky Symphony Orchestra, and the Dayton Philharmonic Orchestra, among others. Pollard also serves on the administrative board for the Meg Quigley Vivaldi Competition and Symposium. Pollard has performed as a soloist with the University of Georgia Wind Ensemble and Wind Symphony as well as with the University of Cincinnati College-Conservatory of Music Chamber Players. 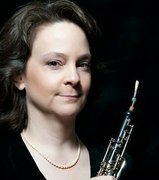 An avid chamber musician, she has performed at venues throughout the United States and also in Ireland, Belgium, and Argentina with such groups as the Georgia Woodwind Quintet, the Baylor University Woodwind Quintet, the Dayton Philharmonic Orchestra Woodwind Quintet, and the University of Cincinnati College-Conservatory of Music Chamber Players. Her bassoon-percussion duo, Col Legno (www.collegnoduo.com), has performed recitals and presented master classes at numerous venues throughout the country. Pollard’s debut solo album, Ruminations: Bassoon Works of Eugène Bozza, was recently released by Mark Records and on iTunes in February 2015.